Beginning in the late 1980s, the newly-launched TNT network, owned by Ted Turner, began to produce their own original programming. Early examples included several documentaries of actors and directors, frequently using clips from the thousands of films Turner owned after his enormous, $1.5 billion purchase of numerous archives and film libraries in 1986. TNT, in fact, was initially intended as a showcase for many of those films, but the commercial interruptions and colorization controversy quickly changed Turner’s plans, thus the creation of Turner Classic Movies in 1994. Through all this, TNT remained committed to original made-for-TV films, and to that end created some lush, extravagant movies, such as a truly bonkers remake of Dinner at Eight (1989), and a version of Treasure Island (1990) starring (get this) Oliver Reed, Charleton Heston, Christopher Lee, Christian Bale, Pete Postlethwait, Richard Johnson and Julian Glover, among others. 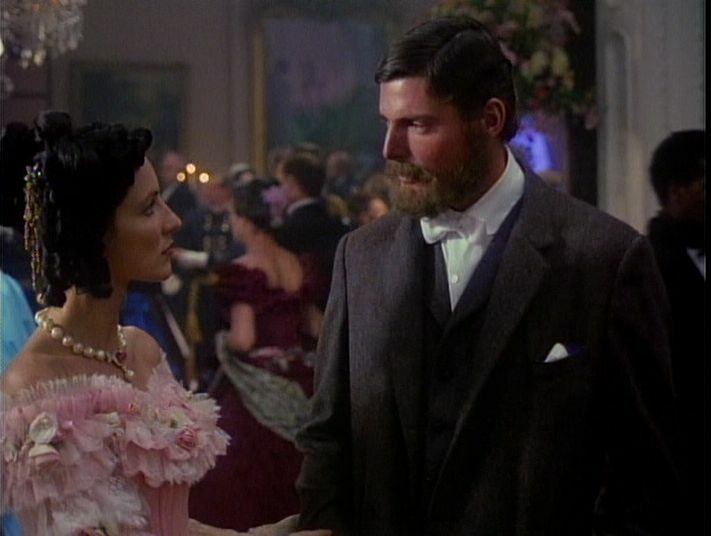 One of the first of these lavish TNT films was The Rose and the Jackal (1990), based on the lives of famous detective Allan Pinkerton (Christopher Reeve) and Rose O’Neal Greenhow (Madolyn Smith Osborne), a D.C. socialite and spy for the Confederate forces during the American Civil War. Pinkerton had been a successful detective in the mid 1800s, solving a series of train robberies for the Illinois Central Railroad, where Abraham Lincoln had worked as a lawyer. When Lincoln became president, he appointed Pinkerton to develop an intelligence service to suss out Confederate spies amongst the Union troops and outposts. As The Rose and the Jackal begins, Pinkerton has already been summoned, not by Lincoln but by a man in Lincoln’s cabinet named Tom (Granville Van Dusen). Tom is not the name of anyone who actually worked in Lincoln’s cabinet, he’s a fictional creation based on several members of Lincoln’s cabinet; this is your first clue that the film takes quite a few liberties with history. Another clue is Pinkerton’s immediate attraction to Greenhow, when there has never been any indication that the real Pinkerton and Greenhow were in any kind of relationship at all. But The Rose and the Jackal is a romance, and Pinkerton finds himself attracted to Greenhow in the way a million fanfics posit Sherlock Holmes was attracted to Irene Adler. His pursuit of her as a secret Confederate spy is parallel to his barely-contained pursuit of her sexually, and she proves herself a far better deflector of his misplaced lust than of the criminal charges against her. 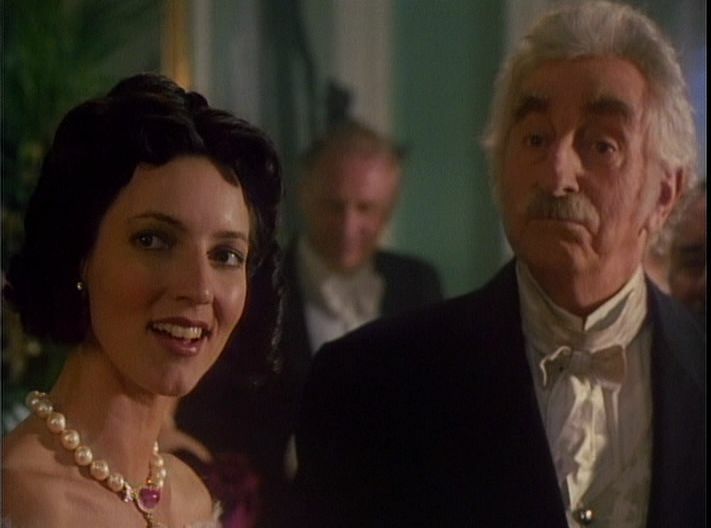 Jeff Corey in a cameo as former president James Buchanan. This film came at a time when Reeve’s acting abilities, almost universally panned, were beginning to be reevaluated. Slowly, from Somewhere in Time (1980) to Deathtrap (1982) to — yes, I’m going to say it — Switching Channels (1988), people discovered Reeve had some depth and talent beyond the padded Superman suit. Reeve is quite good in The Rose and the Jackal, his Scottish accent surprisingly solid, his intensity frightening at times. Greenhow learns of several important military secrets thanks to Senator Henry Wilson (Kevin McCarthy), a man obviously taken by her beauty and charm. A showdown between Wilson and Pinkerton over Greenhow’s involvement in a serious intelligence leak is entirely fictitious, but the plans, which involved the Union’s strategy at Bull Run, did indeed made their way to the Confederates in time for them to stop the Union forces during the first battle. The cinematic showdown between McCarthy and Reeve, however, is a real highlight of the film. 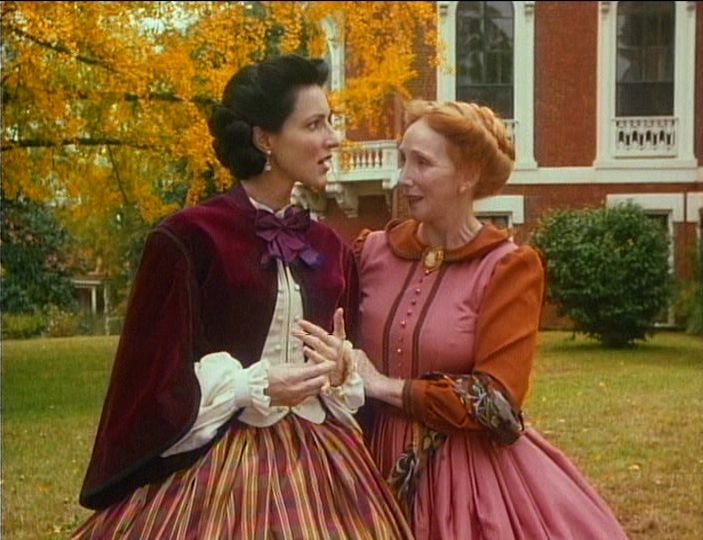 So too is Carrie Snodgress as Pinkerton’s wife, here named Joan, who arrives for a visit and finds her husband inexplicably changed. 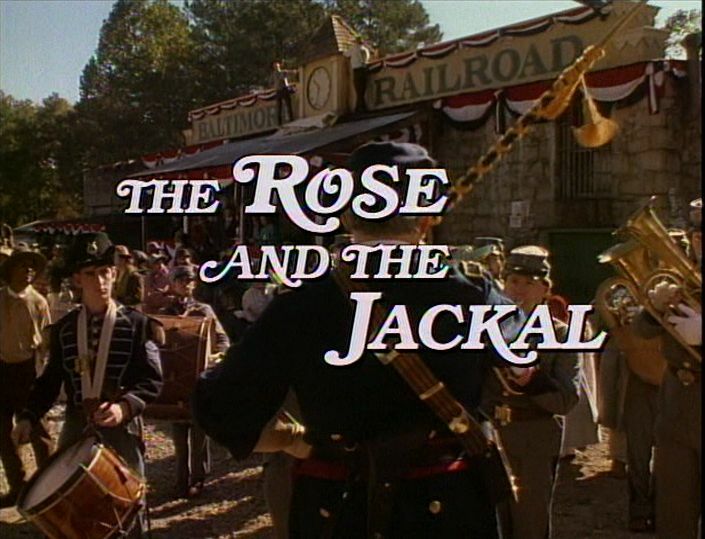 Sporting a significant budget for both location shots and costumes, The Rose and the Jackal also features some of the same troupes of Civil War reenactors that appeared in Glory (1989). Unfortunately, and I’ll never understand how this happens, the beard budget was lacking, and many close-ups on the men will induce giggles. There’s a certain glow about these early-90s made-for-TV movies, from an era when stations were trying to elevate the craft and create something worth watching rather than midweek network filler. There’s a lack of depth, certainly, and a sense that not enough time was taken in certain key scenes, but it’s a lovely diversion and, nearly 25 years later, almost comforting to see these films again. The Warner Archive DVD comes with the trailer (commercial), which can also be seen at their website.